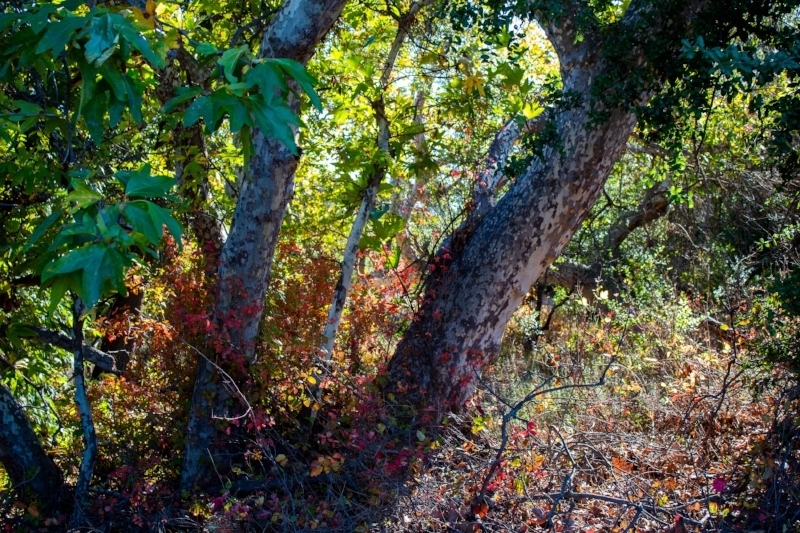 Autumn in the elfin forest; photo by Chad Woodward, 2018. Both the Sun and Venus are conjoining in tropical Scorpio, also known as Venus' inferior conjunction (aka New Venus). It is a pivotal or momentous opening, magnified by the Sun and Venus square the lunar nodes. In Scorpio, there's an edginess, intensity, and precariousness charging the atmosphere, as well as the sense of a relational, creative, or financial narrative reaching a crossroads. Venus has hit the bottom, so to speak, the depths of the underworld. And Venus' retrograde conjunction with the Sun brings her closer to the Earth than usual, magnifying the heart's longing and desire for connection, purpose, and inclusion. At the moment, following the heart might require stepping outside of your comfort zone, or having to adjust to a dramatically changed environment. Venus in Scorpio in opposition to Uranus can bring on sudden breaks with stuck or stagnant routines, or any structures which limit creative freedom or the heart's ability to speak. Relational or contractual upheavals are possible, and as always with Uranus, unforeseen variables permeate the landscape, offering wild yet innovative possibilities. But from here on out, Venus will gradually return to its visibility in the sky, re-entering Libra at the end of the month. New values, attractions, perspectives, and purpose can emerge from the conjoining of Venus and Sun. Pay close attention to the shift deep inside of you and within the context of key relationships. There may be an incredible sense of uncertainty, hesitation, or fear. But this New Venus invites us on a pathway toward greater freedom, even if that hasn't fully materialized yet, or we can't yet envision it. And death is always entwined within every birth. The remnants of decay fertilize for new life. Venus in Scorpio beckons us into the depths to find the beauty within the discarded, ignored, or subjugated. Increased lucidity can verge on paranoia, but also offers a more authentic glimpse of the world in which we live. No matter how frightening any emerging perspective might be, open your heart to it. It can change you. Love is seething, burning, and forever transforming.